Can’t be bothered reading a long review? Just want to know whether a book is worth the effort? The Rapid Review hopes to save you some time and tell you (in my humblest of opinions) whether to give it a go. Prepare yourself for an onslaught of rapidity! Welcome to The Rapid Review, this first feature will showcase three crime classic firsts. 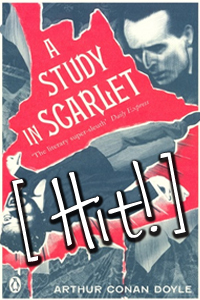 These are the books which introduced us to world famous literary detectives and sparked many an obsession into murders and mysteries, cosy-crimes and whodunnits, and which still garner a following to this day. Read if: you want “to begin at the beginning”; if you like murder, mystery and arrogant sociopaths, and enjoy fast paced plots with Mormon interludes. Expect: witty prose and eccentric brilliance, two connected but utterly different narratives, and a surfeit of ejaculations. Read if: you fancy a locked-room murder mystery; you like egotistical little men with fabulous moustaches and have a soft spot for Hugh Fraser. 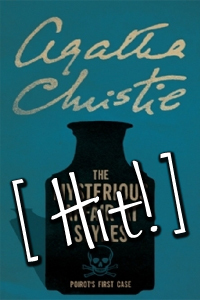 Expect: Hastings to become thoroughly confused and Poirot to amaze, astound, irritate but ultimately save the day. 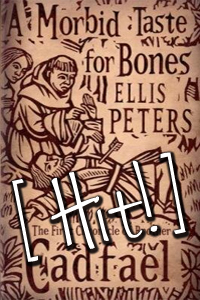 Read if: you like 12th Century ex-crusading monks, have a fondness for robes, or just want a cathartic read. Expect: a protagonist full of wit and sarcasm, a book full of beautiful prose, and a series more about the characters than the crimes.